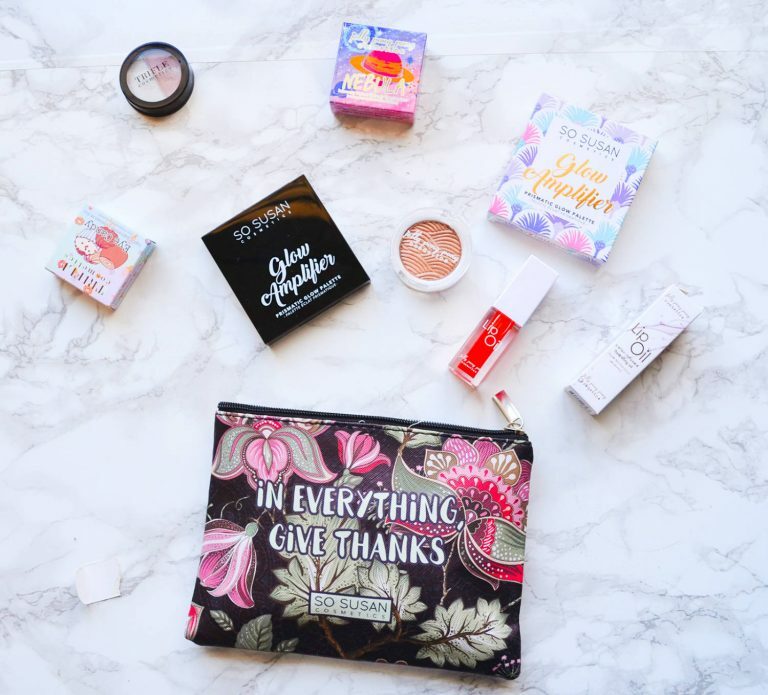 Color Curate’s Makeup came packaged in a high quality makeup bag, made from sturdy material. 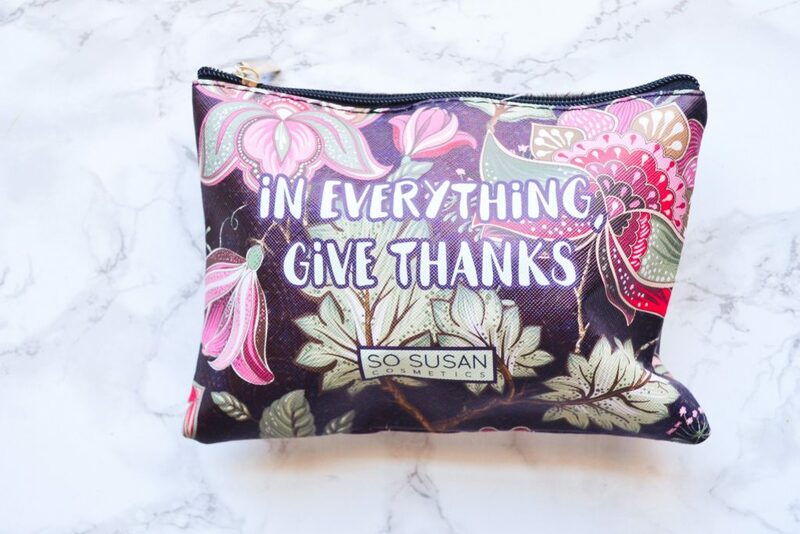 The bag is covered in a print of fall themed foliage on a deep purple background. 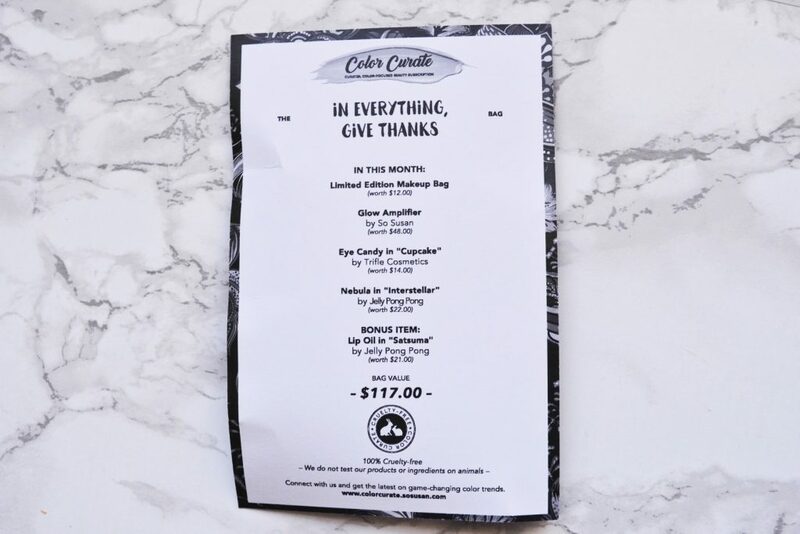 I also received a card with information about each product in this month’s subscription. I like these, because they give me an easy price breakdown. This month’s curation is worth $117! This is the highest that I’ve seen it over the past several months. 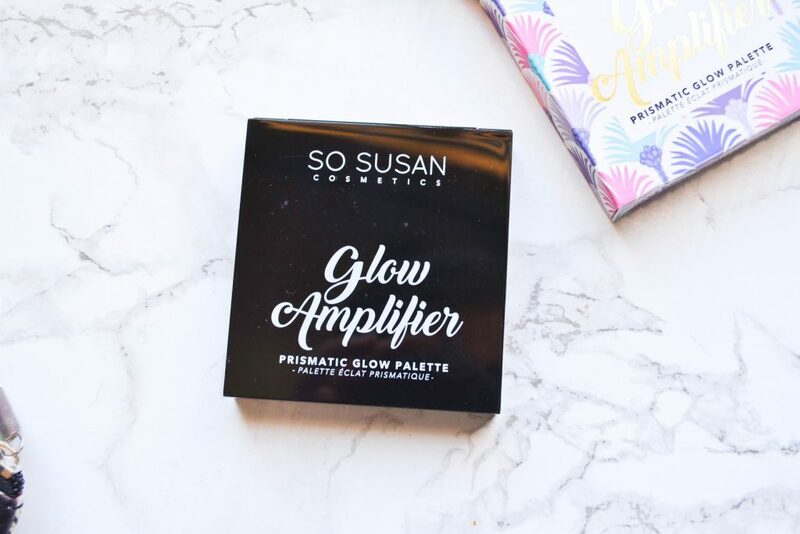 I love a good highlight, so the first piece of makeup I reached for was this Prismatic Glow Palette. 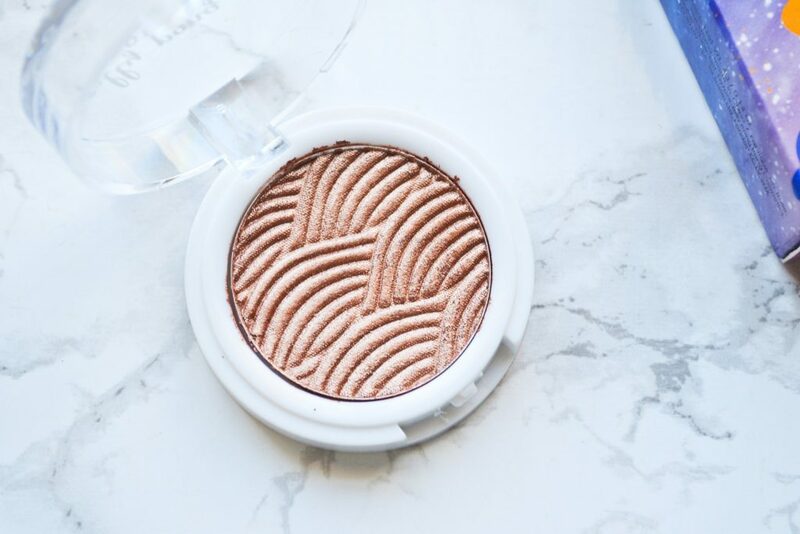 This is a cream highlighter palete that illuminates the skin with a dewy, buildable glow. 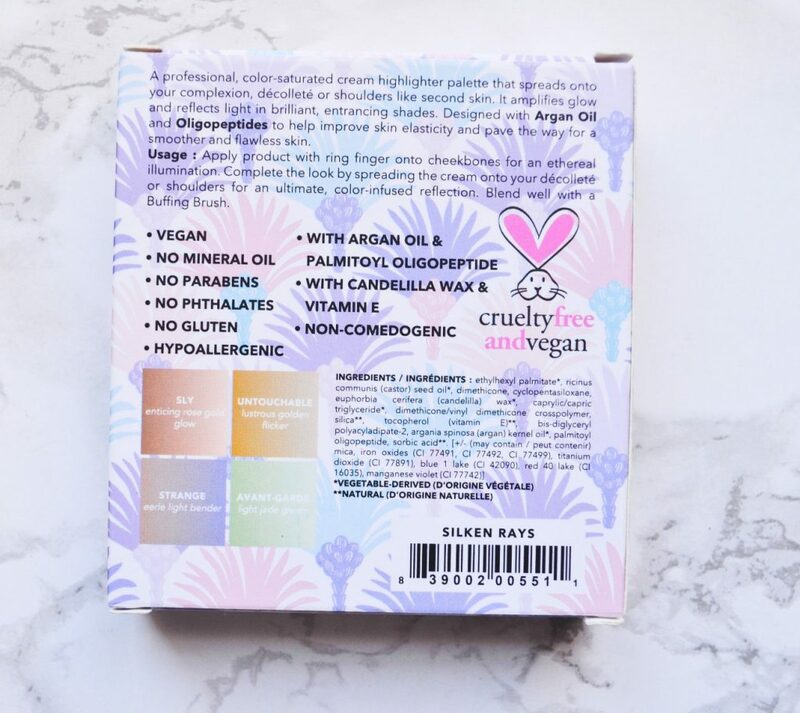 The highlighters are designed with argan oil and oligopeptides to improve your skin elasticity! The outside packaging is cute, and features sketches of little palm trees. 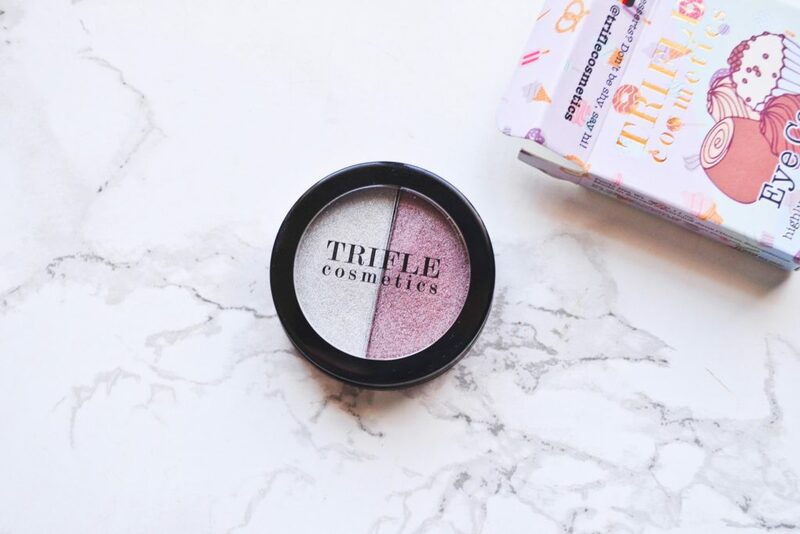 The palette itself is in a sleek black compact and comes with a decent sized mirror. 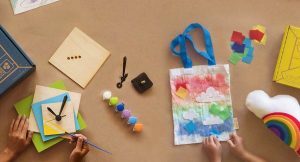 There is also a clear protective sheet of plastic, which gives the shade names and keeps the palette clean. The shades are Sly (Rose Gold), Untouchable (Gold), Strange (Lavender) and Avant-Garde (Jade). 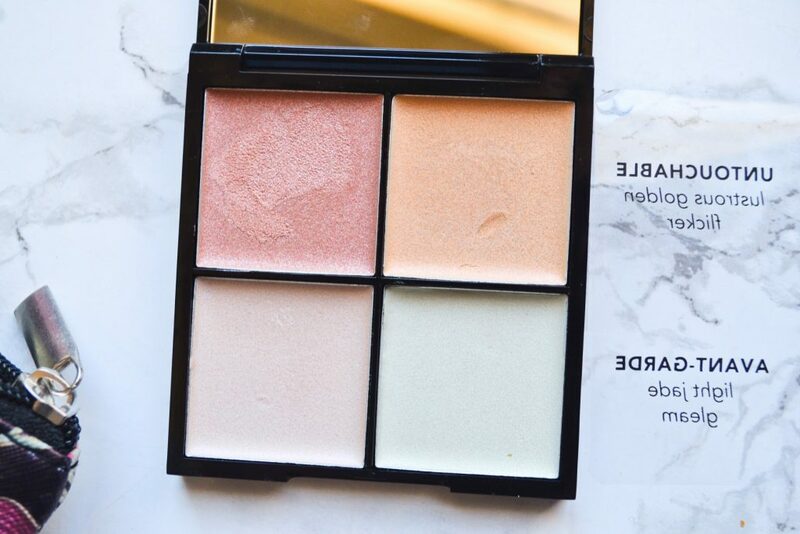 These highlighters are extremely creamy – and a little oily. 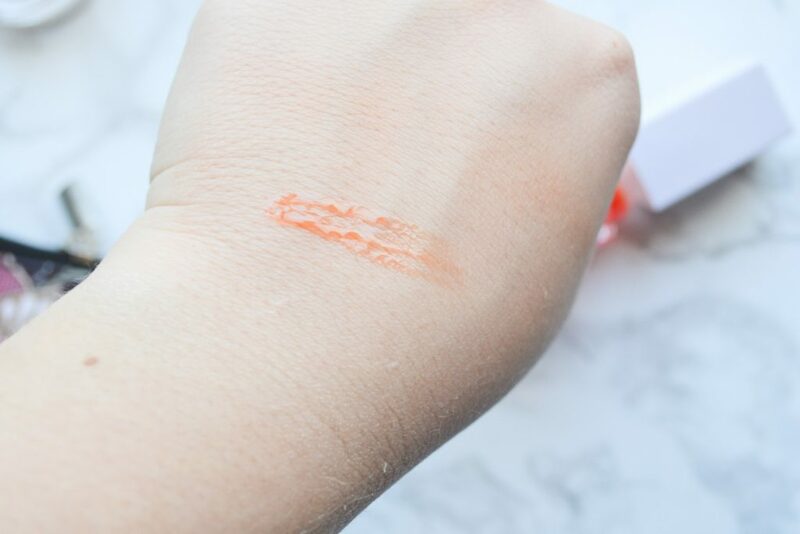 I prefer my cream highlighters to have this consistency; an oily texture means they meld flawlessly into your skin. If they are thicker, they end up looking a little pasty. 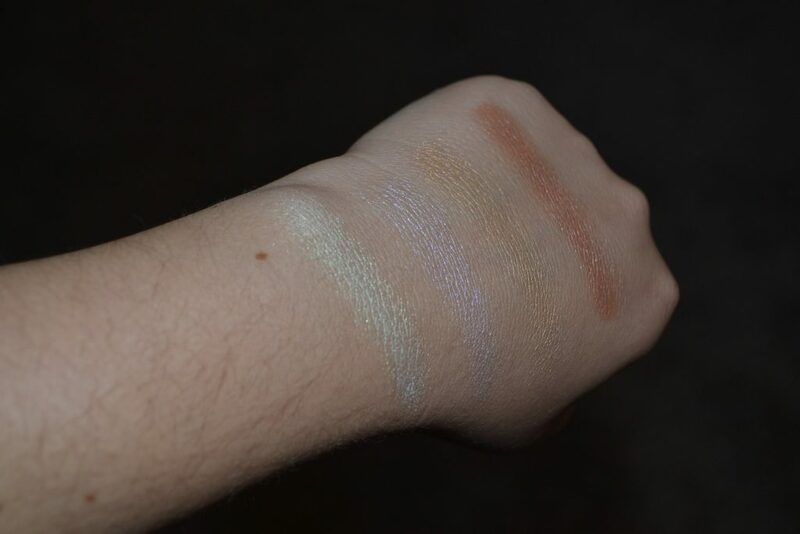 Here are the shades swatched! From left to right is Avant Garde, Strange, Untouchable, and Sly. Strange is definitely my favorite; I love cool toned highlighters, and I think this duochrome lavender shade is lovely. 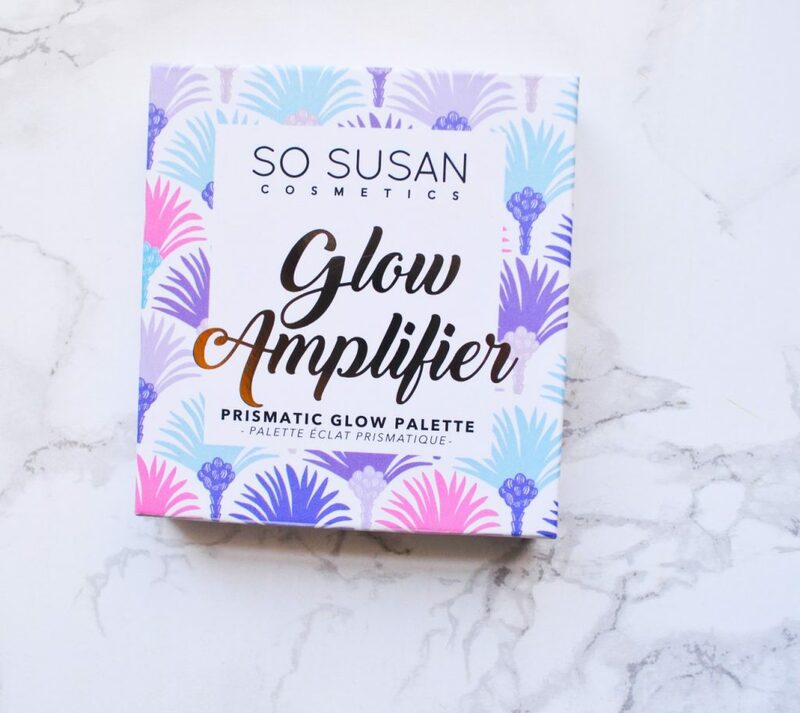 Overall, I really like the Prismatic Glow – Glow Amplifier Palette. These don’t give a blinding glow, but instead melt into your skin for a more natural looking radiance. Eye Candy is a highly-pigmented, fallout-free eyeshadow duo. This particular duo, “Cupcake”, features a lustrous orchid and silver shade. These cool toned shades are perfect for the upcoming winter season – especially that icy silver! The shadows are buttery and very easy to apply. At first, I thought the retail price of $22 for a single eyeshadow was unrealistic. 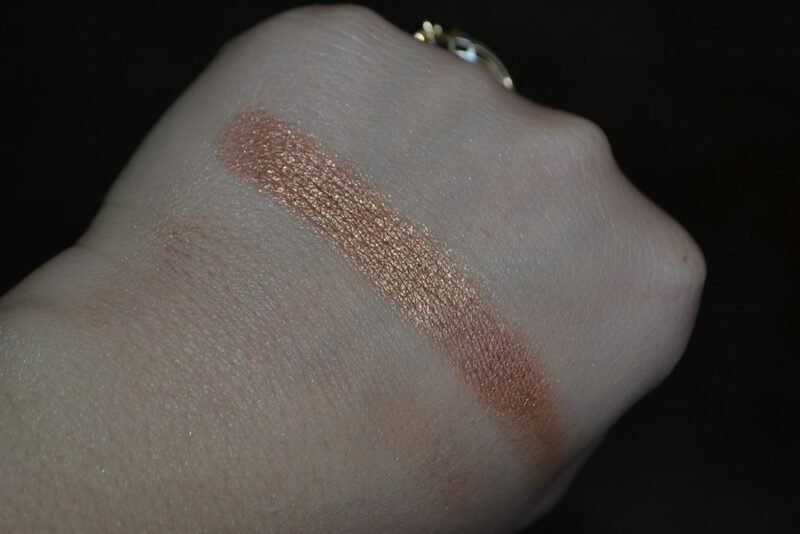 However, this shadow is insanely pigmented and is SUCH high quality! Jelly Pong Pong’s foiled spongy eyeshadows have a velvet-metallic texture, and a single swipe produces brilliant shine. 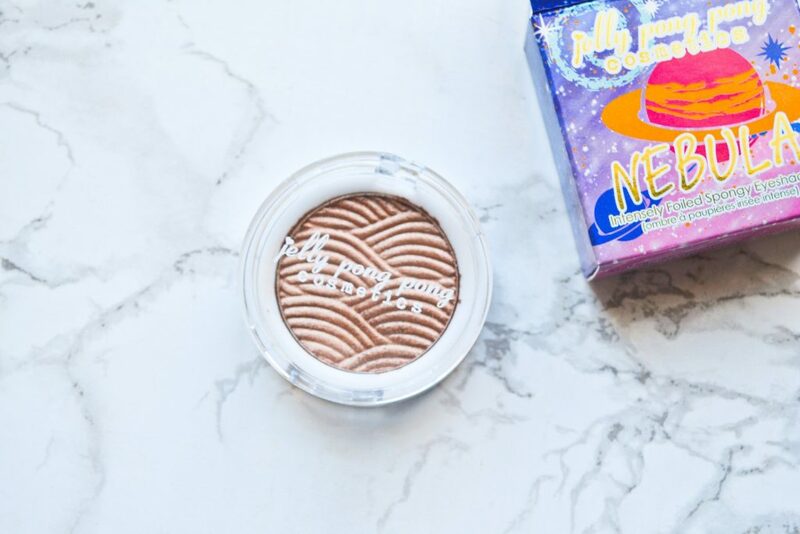 You can combine it with water if you want a glow that’s out of this world. 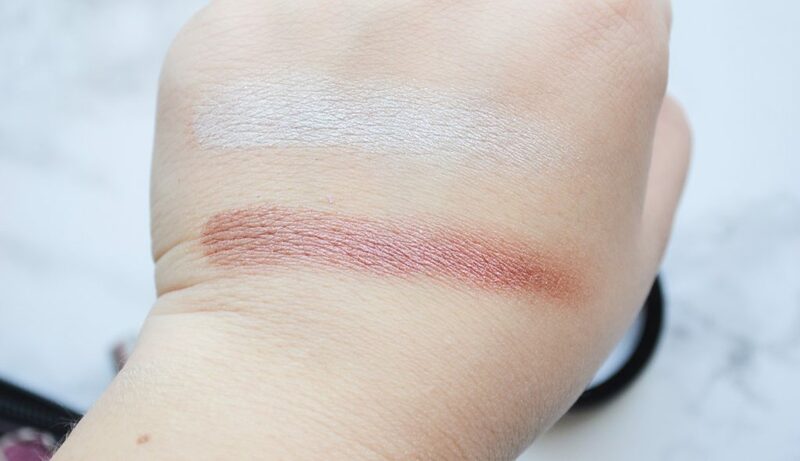 Here’s a swatch of Nebula. Good Lord, it’s beautiful! This gilded bronze shade has little flecks of gold glitter, and is ultra metallic. Now that temperatures are plummeting, it’s time to start protecting your lips from drying out and cracking. 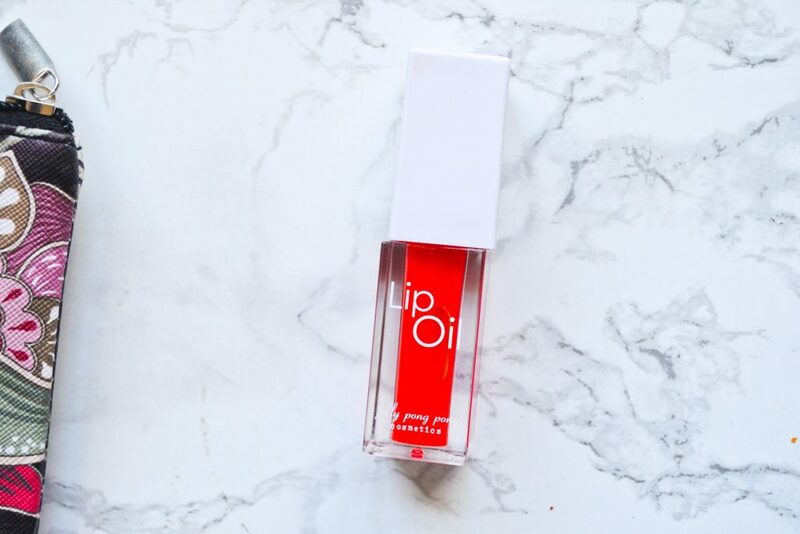 What better way than with a watermelon scented lip oil? This oil manages to be shiny and moisturizing, without being sticky in the slightest. 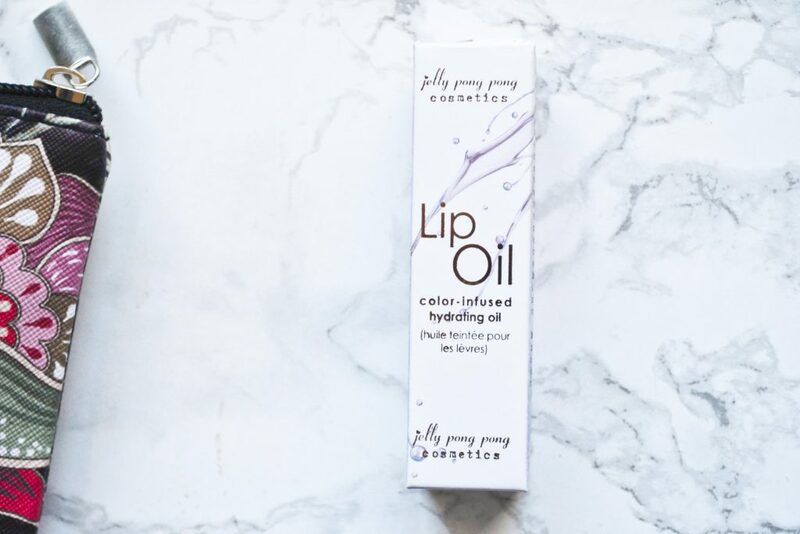 It is formulated with safflower, coconut, and tomato oils in order to boost your lips’ moisture levels and elasticity. 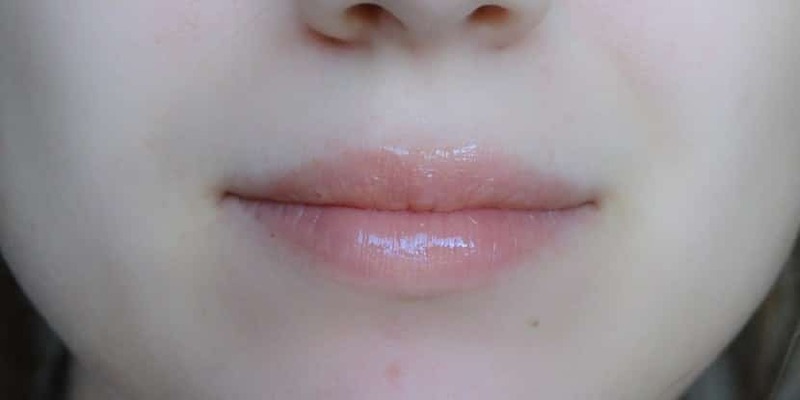 The lip oil is very sheer; it shows up as light orange in a hand swatch but has only the slightest wash of color on the lips. This means you can layer it under or over lipstick without significantly impacting the color. 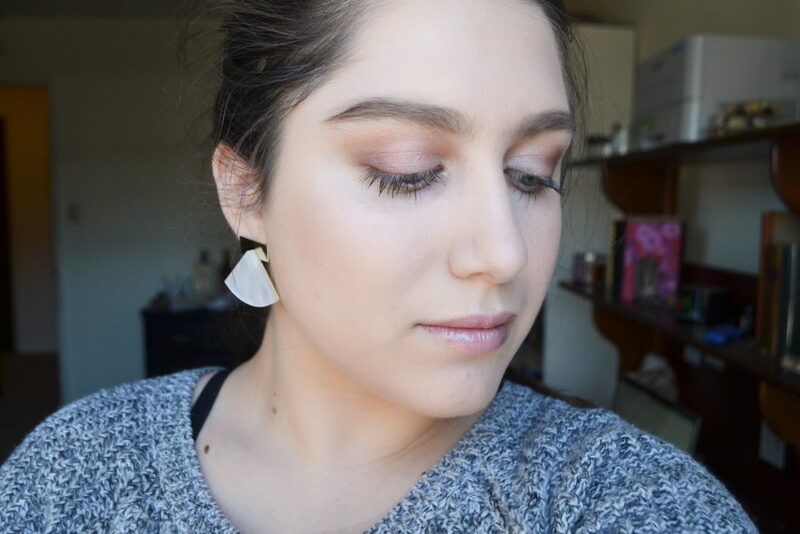 I used the lip oil, the Eye Candy, and the Glow Palette in today’s makeup! I didn’t use the foiled eyeshadow, because it didn’t really fit the cool toned look I was going for. 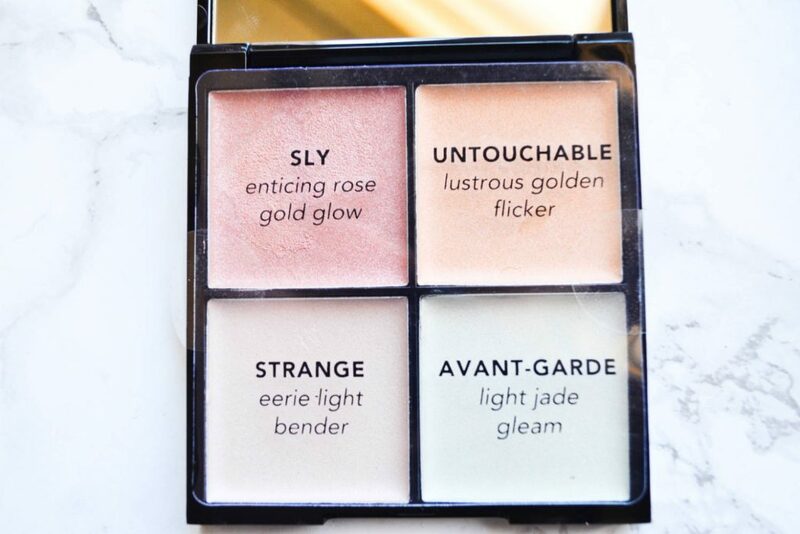 The makeup performed beautifully, and I am especially impressed by the illuminating glow the highlighting palette provides. I used the shade Strange on my cheekbones, cupid’s bow, and the bridge of my nose. The silver and orchid shades of the eye candy work together beautifully, and blended out into a soft, cool toned look. 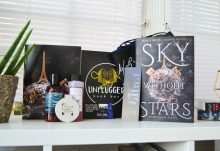 I am very impressed with November’s Color Curate; all of the products will work well with a wide range of skin tones, and the value of the bag was very high. I love being able to use vegan makeup that not only looks great, but is also wonderful for my skin. 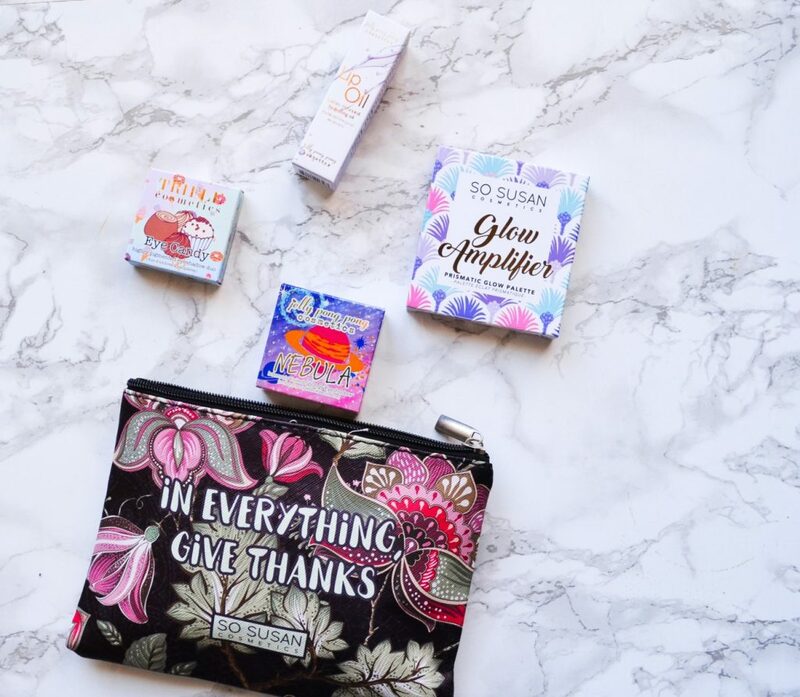 This would be an awesome subscription to gift to a beauty-loving friend, or just as a splurge for yourself!